Do you have old rechargeable NiCad cordless tool batteries that just won’t take a charge any longer? Don’t throw them in the trash. As Do It Yourselfer’s we like to have our tools and who wants to be limited by a power cord? 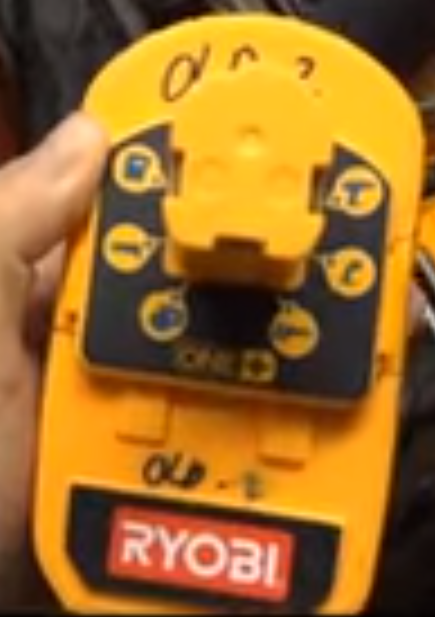 But the bad part about battery operated tools is the batteries eventually get weak or die. If you are tired of spending a ton of money on new batteries, there are a number of ways that they can be revived. But please if none of them work for your batteries, take them to a recycling facility, they are very bad for the environment when put in the trash. I have not tested any of these methods yet, but will let you know my results when I do. The first thing to try if the charger won’t charge the battery and says to replace it. Try repeatedly unplugging and plugging in the charge, with the battery in the charger, until it begins to charge. Plugging the charger into an outlet with a switch will make this easier. Here is a great video on how this works. If this little trick doesn’t work, you basically need to “jump start” the battery. The next video will show you an easy way to do this. Good luck with getting those batteries back up and working. Let us know how you make out with your battery repair. If you have critters in your garden, check this out. I love seeing all the wild life roaming around my yard. But when it comes to my gardens, I want my hard work left for my enjoyment. 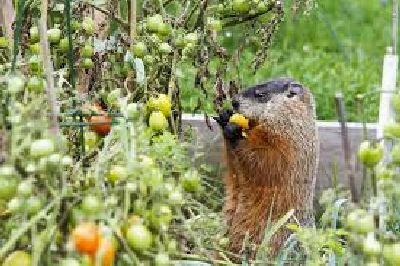 Trying to keep critters out of your gardens and from eating all your vegetables or flowers can be a hard task. Using traps and chemicals can be dangerous to both humans and pets and can harm the environment as well. Holly Mann designed and built some great cages for her raised bed gardens to protect her plants from these critters. It didn’t cost a fortune or take weeks to build. She used some 1×2 lumber, screws, some screening and staples to make her cages. Added a few hinges so they are easy to open. You can see here fully instructions on how she build these here! We would love to see your projects, Just drop us a comment and let us know what you have done. 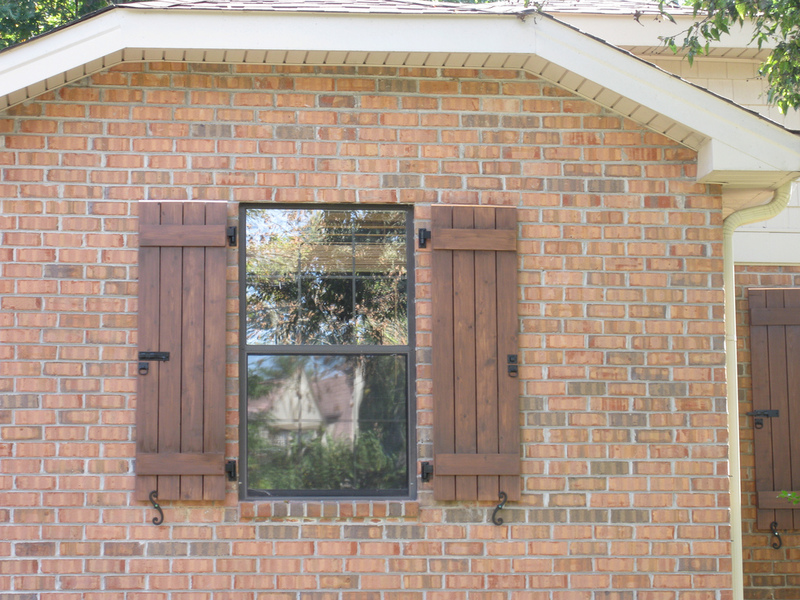 Wood shutters were originally installed on homes to protect the homes windows from inclement weather. They were operational for the home owner to close them to keep flying debris from smashing thru. As time went on, many factors contributed to shutters no longer being used on most houses. Shutters are now finding there way back into style, mostly as decorative features of a house. Building your own wood shutters can add charm to just about any home and improve the curb appeal of your house. Some things to keep in mind when making your shutters; Making them the correct size so they look like they belong, they should fit the height of the opening and be 1/3 to 1/2 the width of the window to look good. Check out the video below to see how to make some simple, cost effected board and batten shutters. There are many other shutter designs that you can build, although non quite as simple as board and batten shutters. Be sure to weather proof all sides and edges of your shutters to help them last a long time. 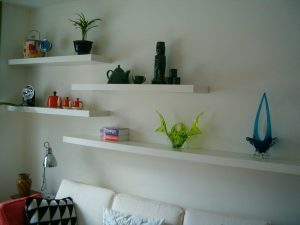 Aren’t shelves that seem to float on the wall just awesome? Ever wonder how to make them? It’s really not magic, and something any DIYer can accomplish with the steps in the video below. Here is all you will need to make your own floating shelf. As winter nears and the lawn stops growing. It’s time to get the lawn equipment ready for that long winter nap! 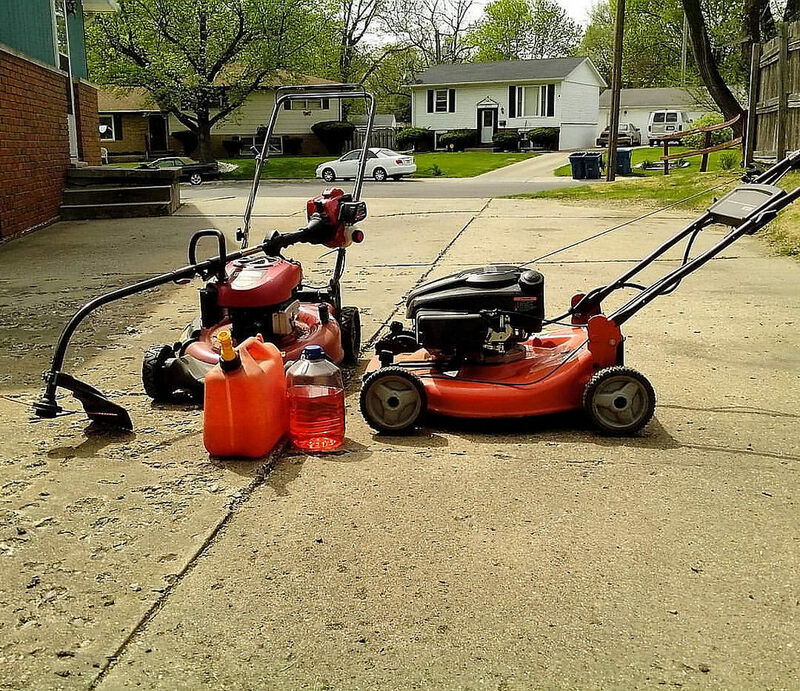 Just pushing it into the garage or shed will leave you with issues when spring time comes and the lawn is ready for cutting. Cleaning out all the dead grass and giving it a good bath will make it shiny and ready to tackle it’s next job. A clean blade area also help the grass exit the mower easier, so it doesn’t work as hard. This will also keep the grass from fermenting and smelling up the place. Changing the engine oil is the next step in keeping the mower running smoothly for years to come. Sharpen the blade or take it to your local repair shop to have it made ready for the spring time. One question I get asked a lot is; do I leave the gas in or drain it. My preference it to add stabilizer to the fuel all year long, because gas sitting for even a month or two will start to break down. If you add it when you fill your gas cans you don’t have to worry about it. Draining the fuel will still leave some in the lines and carburetor that will turn bad, plus leaving gaskets to dry out and cause leaks. Check out the video below for what you should consider when winterizing your equipment. These little things sometimes get over looked and then can cause all kinds of frustration come spring time. Take the time to take care of them. You will be happy you did. 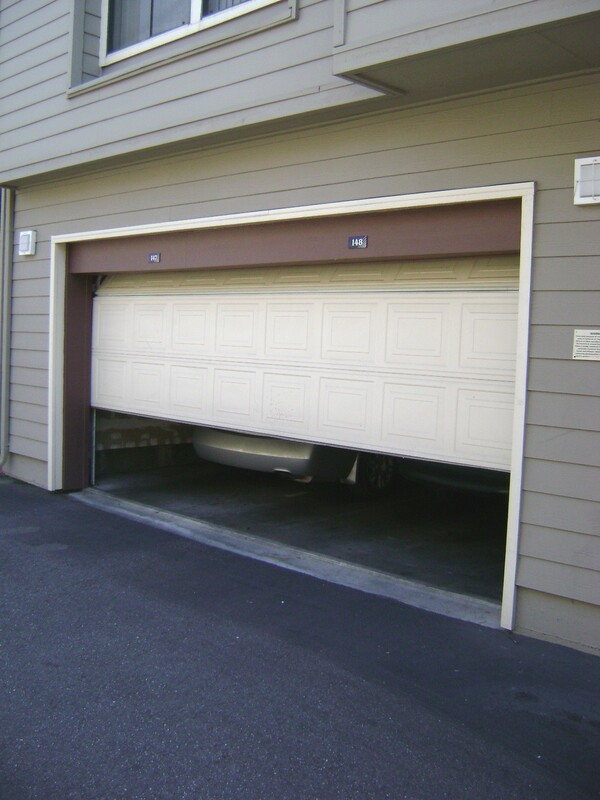 There are 2 basic types of door springs, Torsion, which are on a bar above the door when it is closed or Extension, which are above the horizontal track on each side of the door. You Must learn what you are doing with either as they can be very dangerous. Check out the video’s below for instructions on replacing the 2 types. 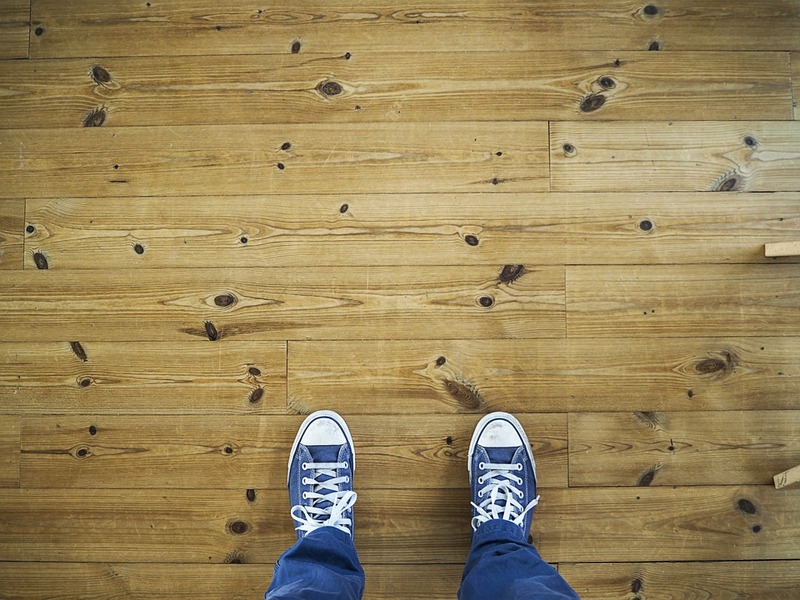 Are You Making The Right Flooring Choice? When you are in need of new flooring in your home, it can be a real task to figure out what your best option is. There are so many choices today, that when you get to the store, you just sit there scratching your head. Doing a little research before ever entering a store and figuring out what is best for your needs vs what do you like, can make the whole process easier. Tile and stone are hard and cold. They can also chip and crack. Easy to clean. Hardwood is warm and smooth. It can scratch and needs occasional maintenance. Nice warm look. Carpet is nice and soft under foot. It gets dirty and hold allergens. Comes in many colors. Exotic Flooring like bamboo or cork are soft. They are not cheap. They can fade in bright sunshine. Take stock of what is needed for your home, your family and your lifestyle. Make a wish-list of characteristics you want in a floor. List what it MUST DO versus what it CANNOT DO. List special interests such as allergies, chemical sensitivities, asthma, COPD, aging in place, young children, etc. Work with the characteristics you must have, then go shopping. Ignore the trends. Find the list of materials that will offer the characteristics you require. Now that you know the materials to shop, you can find the look you are after. Personality plays a huge role in how a person reacts to the look of a floor. There are many people who believe shiny = clean. These shiny people enjoy the look of a newly cleaned floor because it offers a glorious, mirror-like finish when they are done. They feel happy and content when they see their floors shining like the sun. The personality that likes high-gloss will never be happy with a satin or matte finish. Today’s trend towards low-gloss flooring is a nightmare for shiny people. The hardest part of this is the homeowner maybe unaware of this themselves. Not until they have purchased, installed and cleaned their matte finish laminate do they realize something is missing – the glossy finish. Heartache ensues. New flooring is purchased quickly afterwards; often causing financial distress to those who can least afford it. Each floor material has different characteristics as they age. If you must have “perfection” for 20 years, then porcelain tiles are the perfect option. If you must have a soft floor then carpet, cork or rubber is the direction you must head. Expecting carpet or cork to appear perfect for 20 years is an unrealistic expectation. 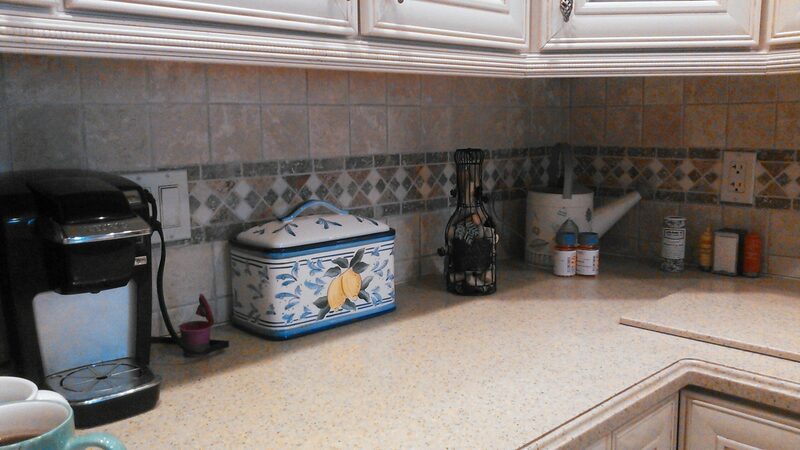 Expecting laminate to work well in a kitchen is another unrealistic expectation. Getting upset with hardwood floors that scratch is like getting upset with a baby who cries when hungry. Purchasing flooring for resale value is not always the best route to take. Resale value should be looked at only when a 5-7 year plan is in the works. That means you KNOW you will sell your home inside 5-7 years. This is the short-term time frame that requires resale value to enter the conversation. Trends change and they change quickly in many areas of North America. Trendy areas will change their preferences in a heartbeat. More conservative areas will take a decade to change styles. If you plan to live with your floor for more than 7 years, please purchase what you like/want/require for today. Tomorrow is too far away to make an informed decision. Solid hardwood, glue-down cork, stone and ceramic tiles are all long term products (20+ years of service) and should be viewed with that permanence in mind. Floors such as laminate, vinyl, floating cork, bamboo and engineered floors can be viewed as short-term (5-7 years) or moderate term investments (10-20 years). Carpet, sheet vinyl and linoleum all have their fingers in each pie with products capable of lasting 5, 10 and 25 years depending on type and style purchased. When the times comes that you need or just want a new entrance door for your home, the key thing to consider are what look you want. There are other important things to consider that will make the project go smother and look great when finished and for years to come. Are you wanting to keep the same look or change it to something completely different? Are wanting the same look but want a door that will stand up to the weather better? Do you want to let more light in or have more privacy? How much of your decision will be based on cost? Are you going to paint your door or stain it. All great questions, here a few things to consider when making your choice. A fiber glass door will be you best alternative if you are looking for durability. They will last a long time, they are paintable or stainable. They come in both smooth and wood grain textures. You can get them with almost any size shape or style of window, from full glass to small ½ moon shape. If you are considering a fiberglass, be aware of the fact that on many of the cheaper doors, the face will be made in pieces, so you will have visible seams in the smooth face. If you are purchasing a wood grain look, this feature makes the door look more like real wood. I always order my door jambs with at least the bottom 12 inches made of vinyl or composite to prevent the jamb from rotting out. 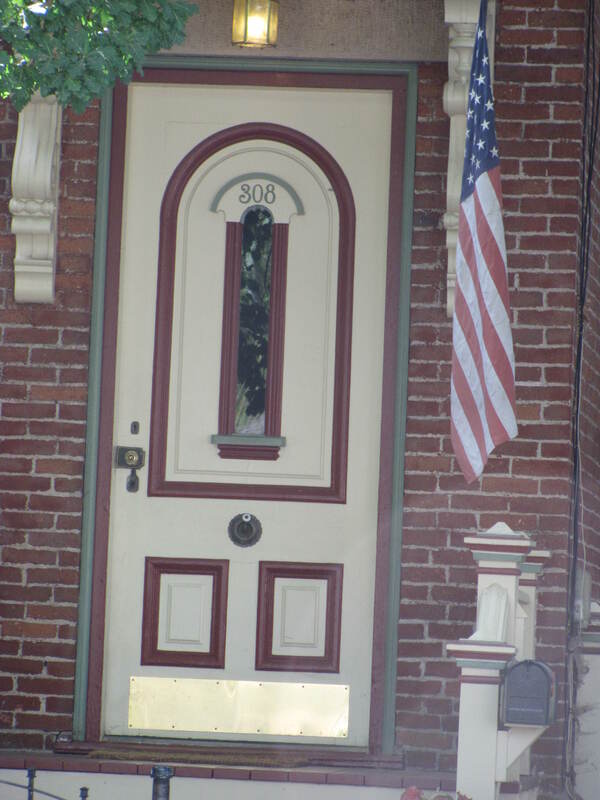 Another thing I do is, use pure vinyl trim on the exterior of the door. They now make brick mold and other exterior trims this way, so they last forever. If wood is your preference, due to the style and type of house you have, then something to look at and consider are doors that have the bottom of the door routered out and a vinyl insert installed to help with rot prevention. How To Do Your Own Home Repairs! Do it yourself home repairs can make a lot of sense. We all want to keep our homes in good condition, so they are more pleasant to live in and will retain their value in the coming years. Some of us like DYI projects for the enjoyment of doing it and some of us just like saving money. Doing a job on your own can be considerably cheaper than hiring a professional to handle the situation. It’s also can be very rewarding. There’s something uniquely satisfying about completing a project on your own, knowing that you’ll enjoy the fruits of your labor for years to come. Do it yourself home repairs continues to grow in popularity because more and more people are realizing that they can get the job done. With the right tools, a bit of dedication and some great information your average homeowner can do spectacular things. Who needs the professionals, right? It’s true that you can decrease the need for calling in a high priced pro by doing things yourself. Sometimes you need the pros. There are times when it makes sense to rely on a licensed, experienced professional. Major electrical and plumbing installations that have a substantial safety risk attached to them certainly come to mind. Most of the time, though, one can handle their repairs without that high-dollar assistance. However, before you get too sure of yourself, it is important to realize that the professionals have something that you don’t. Experience. That experience really matters. It doesn’t just make them faster and free them from the burden of consulting manuals and guides every step of the way. Along the way, they also pick up hints, tricks and tips that don’t appear in your average installation manual. That, in large measure, is what separates the do it yourselfer from the hired professional. Those little nuggets of knowledge, those tidbits and secrets that usually only come with time and repetition, are the difference between the pros and average Joes. This site is designed to level the playing field a little bit. Now, we can’t give you the entire knowledge base of a contractor who’s been on the job for thirty years in one guide, but we can share some of those tips and hints that might not show up in your Home Depot instruction manual. If you’re going to embark on a repair project, it’s safe to say that you’ll secure the instructions and plans to get the job done before you reach for the clasp on your toolbox. You won’t, however, know the little things that can make such a big difference. That’s what this site is all about. It’s your own little collection of professional tips. It covers virtually every aspect of home improvement and repairs, giving you a handful of insights and secrets that you wouldn’t otherwise have in your arsenal for all of them. This isn’t a “how to” guide. It’s a “how to do it better” guide. it’s the ultimate home repair tip collection and it can close the gap between do it yourselfers and professionals. If you have questions on a project you are working on or want to tackle, Send us a message and we will be in touch as soon as possible.